Telemedicine software has been around in one form or another since NASA put men into space in the early 1960’s. (We suppose they didn’t have a lot of options.) Since then, it has been used on a limited scale to treat patients located in very remote places and to connect specialists in large cities with patients in rural areas. Although the capability has been available for decades, it is just in the last few years that we’ve seen an exponential increase in the use of this technology. Why is that? Here are a few things that have changed rather recently, making telemedicine a viable and efficient healthcare delivery platform. We can’t quite say that high-speed internet connections are ubiquitous, but we’re getting there. According to the US Census Bureau, 78.1% of people live in houses with high-speed internet access. Because most telemedicine software leverages the internet, this infrastructure is a necessary prerequisite. At the same time Americans have been signing up for high speed internet service, they’ve been purchasing laptops, smartphones and tablets with high quality video cameras. These devices can facilitate an interaction that is as good for clinical purposes as an in person visit for the right kinds of cases. According to the Department of Health and Human Services, about 16.4 million uninsured people have gained health care coverage. While this is great news for those who now have access to health care, it does put additional strain on an already taxed system. This means that providers will need to become more efficient in order to meet increased demand. Telehealth software is one way to service more patients in less time and to reduce the overhead of patient check in and waiting areas. 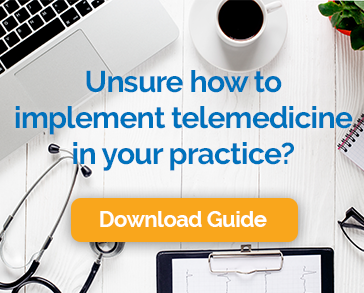 Realizing that telemedicine software can be part of the path to providing care to our growing and rapidly aging population, 24 states have enacted telehealth parity laws and several others have legislation pending. Telehealth reimbursement parity laws require that private payers reimburse telehealth under the same terms as face-to-face visits. At the same time, many state medical licensing boards have updated their regulations to pave the way for telemedicine. Every technology that eventually catches on reaches a tipping point where it goes from novel to normal. That point has come for telemedicine software. This is good news for patients and providers alike.